Abstract: In the People’s Republic of China, located to its western periphery, there exists an area which is commonly referred to as East Turkestan, known by the official designation of Xinjiang Uyghur Autonomous Region. It is here that Uyghur Muslims form one of the majority ethnic groups to be found in this part of Central Asia. Immediately to the West of East Turkestan are the former Soviet Central Asian states that have recently gained their independence. Undoubtedly, it is through the spirit of independence and revolt, the need for change under what is perceived to be an “imperial” or totalitarian state power, many Uyghur Muslims have consequently started speaking out against Beijing’s control. Similar to several pro-democracy movements occurring in China in recent times, such as the issue of Tibet’s struggle for independency and the Tiananmen Square incident. It seems that the Uyghur Muslims also seek to have their own voices heard in what they consider to be their homeland that is being taken over by the Han (the Chinese people). The socio-cultural reflex that has resulted is that many Muslim Uyghurs have radicalized their ideologies and joined the ranks of a greater power extending far beyond East Turkestan’s present-day borders, borders that extend back through time to a long lost Golden Age of Islam when the Turks ruled the world in what was the great Islamic Turkish revival of the Persian-Arab civilization. In short, the Muslim Uyghurs, in their longing for this glorious past have joined the ranks of the great jihad to conquer the infidel Chinese. This paper will retrace the origins of the Muslim Uyghur people and look at the radical militants among them who are the ideologues behind the East Turkestan Islamic Movement (ETIM). In order to fully understand the roots of present-day Islamic fundamentalism as it exists in the area known as East Turkestan, it is first quite necessary to recount some of the early historical events in this part of Central Asia that would revisit the introduction of Islam into the region. It shall be explored herein how East Turkestan, an autonomous region of the People’s Republic of China—known by the official designation of Xinjiang Uyghur Autonomous Region, is a land with a long documented history and home to a great number of different ethnic groups which include among others the Uyghur, Han, Kazakh, Hui, Kyrgyz and Mongol. The particular strain of Islamic fundamentalism that is found in East Turkestan is an ideology that is especially espoused by the Uyghur Muslims. Those who adhere to the East Turkestan Islamic Movement (ETIM) have prioritized their main goal as being primarily the independence of East Turkestan, and secondly, to convert all Chinese people to Islam (Bashir 2008). Therefore, it can be stated that due to the fact that many radical Uyghur Muslims identify themselves as currently living in an oppressed state, under Chinese rule, with their own peculiar brand of nationalism, which is a reclaimed political identity intimately linked to Islam; in essence, because of this underlying political identity that is to be found at the heart of the ETIM’s ideology, a closer look at the history of the so-called “independency” of East Turkestan is warranted to better grasp the group’s national identity politics that appears to be veiled in contemporary jihadist garb. East Turkestan (called Xinjiang by China) as it appears on a map of China. To pinpoint a very specific long-ago historical event in the area when Islam was first introduced by the Arabs in East Turkestan, it was at the famed battle of Talas (751) that Arab forces defeated a Chinese army of the T’ang dynasty north of the Pamirs in Central Asia, an eventful battle often compared to that battle of Tours (732) at which the Arabs were turned back in France (Fairbank 1976: 148). With this defeat at the hands of the Arabs, the loss put a decisive end to Sinization in the area as Turkish tribes began to infiltrate (Lombard 2004: 43). As a result of these unique historical events surrounding the battle of Talas (751), it is this unique blend of cultural and religious influences at work in the area that could be said to form the basis of contemporary Turkestan’s traditional ethnic identities. There were, briefly, three influences at work in central Asia: Chinese in the form of techniques, Muslim in the form of religion, and Turkish in the form of language. In the eighth and ninth centuries the Turks became established in the region of Talas, in Shash Farghana, and Kashghar. In the eleventh century they invaded Transoxiana, then the whole of eastern Iran; they pushed forward into Syria and Anatolia and founded the Seljuq Empire. But these Turks had absorbed Iranian influences, and what they took with them to the most westerly parts of their conquered territory was Iranian civilization, yet again with a few additional elements of horsemanship which were purely Turkish. One can quite confidently assert that the Turks continued the process of Iranization. [ ] In matters of religion the invaders were until the end of the ninth century Shamanist or Manichaean (the Uigurs), or even Nestorian (Karaites at the beginning of the eleventh century). They were tolerant towards the religions of former Iranian cities which still adhered to Buddhism, Mazdaism, Manichaeism, Nestorianism, or Judaism. But from the middle of the tenth century the Samanids began the process of Islamization. In understanding the historical development discussed above, essentially the Turkish tribes in central Asia ultimately gained the ascendency in the area—hence the name Turkestan, quite literally the ‘land of the Turks.’ In addition, the Uyghur language (formerly known as Eastern Turki) is a Turkic language spoken by the people of the same name, and alongside Chinese Mandarin enjoys the status of being the other official language of East Turkestan (Xinjiang Uyghur Autonomous Region). Moreover, as Lombard (2004: 43) described previously, it is these same Turkish tribes originating from central Asia that would eventually overrun eastern Iran, thence absorbing Iranian influences before pushing on further into Syria and finally onwards into Anatolia where they founded the Great Seljuq Empire (1037-1194), the direct forerunner of the Ottoman Empire (peaking in the 16th and 17th centuries) and the present-day Republic of Turkey (quite literally the ‘land of the Turks’). 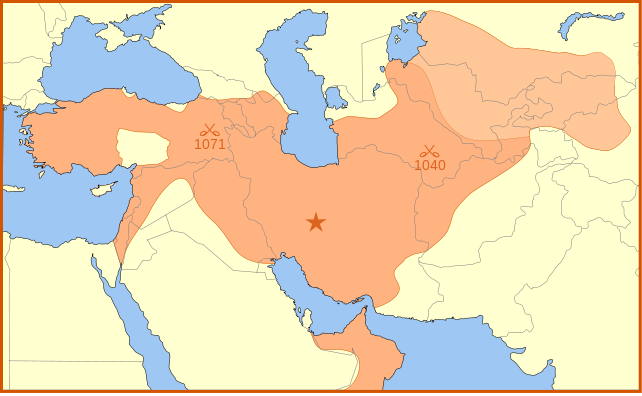 A map of the Great Seljuq Empire in its zenith in 1092, upon the death of Malik Shah I. [T]hese immigrant Turks in Moslem Nearer Asia, or their leaders at any rate, were not impermeable barbarians like their nomad kinsmen of the northern steppes. Many of them had long been educated in the service of Moslem courts as slaves or mercenaries. Turks had already founded Moslem dynasties. Besides destruction the Seljūks brought revival, energy, and reunion to the Persian-Arab civilization of Islam and its fragmentary powers. The Seljūks, like their forerunner Mahmud of Ghazna, the conqueror of northern India, were patrons of art and literature. They used the acuter minds of their subjects. Tughril Beg’s nephew and successor, Alp Arslan (the valiant lion) (1063-72), owed much of his triumphs to his famous Persian vizier, Nizam-al-Mulk, who founded the two Nizamiyah universities of Baghdad and Nishapur, and gathered round him eminent men, such as the astronomer Omar Khayyam, whose translated quatrains have become an English classic, the philosopher Ghazali, and the sinister founder of the Shi‘ite sect of the Assassins, Hasan ibn Suffah. The Turkish rulers did anything but light the fire, but they fanned the flame. [ ] What the Seljūks brought to their new empire was political capacity, fighting spirit and fanatical aggression. Their zeal to spread the faith and to conquer the infidel more than equalled that of the earlier converts. Their state was founded on a military basis. Thus, this is where the past meets the present. As is commonly known, the political position of the Soviets towards Islam was one of intolerance. The aim of the ideologues of the Communist Party was to ‘disintoxicate’, or to purge the proletariat of its subversive to the ‘opium’ of Islam. Anti-religious propaganda was an active feature of the Soviet Union. A considerable number of mosques and madrasas were closed, and all religious activities not approved by the governments were formally banned. While these former Soviet five Republics of Central Asia do not include Chinese Turkestan, it certainly does not preclude its Communist Chinese-controlled autonomous Muslim inhabitants (namely the ETIM ideologues) in East Turkestan from the fundamentalist views eschewed by the Uyghur people’s direct neighbours. 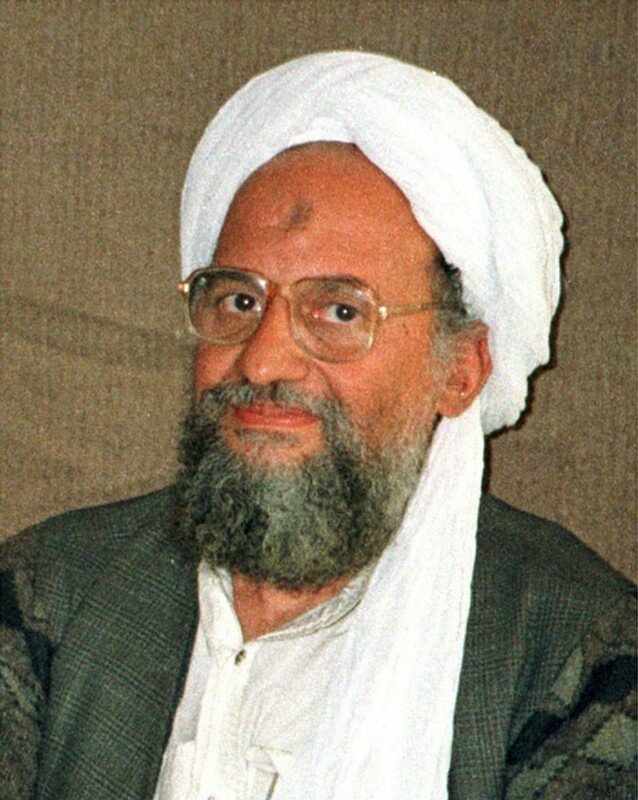 At the time when Zawahiri was writing, the jihad coalition was taking its first steps; but soon, he said, it would witness a spectacular increase in its ranks. “Free from servitude to the dominant Western empire, it bears a promise of destruction and ruin for the new Crusaders [fighting] against Islamic land. It seeks revenge against the gang-leaders of global unbelief, the United States, Russia, and Israel. It demands the blood price for the martyrs, the mother’s grief, the deprived orphans, the suffering prisoners, and the torments of those who are tortured everywhere in the Islamic lands—from Turkistan in the east to Andalusia.” This last reference, in the imagination of the target audience, was to the conquest of the Iberian peninsula by Tariq bin Ziyad in the seventh century and the Reconquista in 1492 by the Catholic kings. To the jihadists, this fifteenth-century defeat and humiliation must be erased by conquering Spain anew and reintegrating it within Islam. The commuter rail bombings in Madrid in March 2004 would be part of this strategy. In making a connection between the East Turkestan Islamic Movement (ETIM) and other Islamic fundamentalist movements, there is definitely a concrete link that can be made in linking ETIM not merely with the spirit of jihad, but by directly linking many of the group’s members to other more popularly known radical Islamic terrorists organizations such as al-Qaeda. An analysis of the political situation in Egypt would reveal that Egypt is struggling between two powers: An official power and a popular power that has its roots deeply established in the ground, which is the Islamic movement in general and the solid jihad nucleus in particular. [ ] The first power is supported by the United States, the west, Israel, and most of the Arab rulers. The second power depends on God alone then on its wide popularity and alliance with other jihad movements throughout the Islamic nation, from Chechnya in the north to Somalia in the south and from Eastern Turkestan in the east to Morocco in the west. This relationship that exists between Islamic radical movements that is alluded to by the al-Qaeda leader, al-Zawahiri, is of the utmost importance in understanding the East Turkestan Islamic Movement (ETIM), their goals and their true raison d’être. ETIM has a long history which can be traced back to 1940, when the Hizbul Islam Li-Turkistan (Islamic Party of Turkistan or Turkistan Islamic Movement) was founded by Abdul Azeez Makhdoom [also transliterates as Mahsum], Abdul Hakeem and Abdul Hameed (Stratfor 2008). Although, despite this long lineage mentioned above, the organisation’s most recent incarnation is from the late 1990s, when in 1997 ETIM was reorganised under Hasan Mahsum and Abudukadir Yapuquan (Stratfor 2008). It is here specifically during this time that ETIM’s most recent rebirth brings it into contact with other radical Islamic fundamentalist groups. In 1995, China began to crack down on Islamic teaching in Xianjiang. In July of that year, authorities arrested two imams in Hotan, which led to riots and clashes with security forces. China further intensified its efforts to stem the rise of Islamist and separatist militancy in Xinjiang in 1996 by forming the Shanghai Cooperation Organization (at the time referred to as the Shanghai Five), establishing new security arrangements with Russia and Central Asian states and encouraging Kazakhstan, Kyrgyzstan and Uzbekistan to clamp down on the political and militant activities of the Uighur diaspora in Central Asia. [ ] This was followed by a series of so-called “strike hard” campaigns in Xinjiang by Chinese security forces. 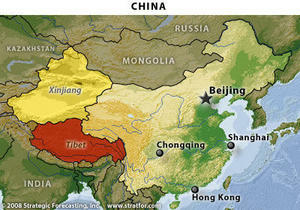 But rather than quell separatism and militancy, this move caused a flare-up in Xinjiang as Beijing tightened its grip. In 1996, Mehmet Emin Hazret founded the East Turkistan Liberation Organization (ETLO), and future members of ETIM started their own militant groups in Xinjiang, carrying out a series of armed attacks against political, religious and business leaders. That same year, a larger flood of Uighurs left China, seeking shelter in Central Asia and Afghanistan. During one of the “strike hard” campaigns in August 1996, Mahsum was again briefly detained. Upon his release, he traveled from Urumchi to Beijing to Malaysia and on to Jeddah, Saudi Arabia. Following the Hajj in Saudi Arabia in May , Mahsum and a small group of followers headed to Central Asia, likely Afghanistan, where they began to interact with the broader Islamist/jihadist movement. [ ] Around September 1997, Mahsum and Abudukadir Yapuquan reformed ETIM […]. In March 1998, with about a dozen members present, ETIM formalized its ideology and mission, rejecting much of Dia Uddin’s ideas from the late 1980s and seeking broader regional ties. This new manifestation of ETIM sought closer cooperation with other Turkic peoples and non-Uighurs abroad and no longer focused on starting an uprising or holding territory in Xinjiang. In September 1998, ETIM moved its headquarters to Kabul, Afghanistan, taking shelter in the Taliban-controlled territory. Therefore, it can be generally surmised that Mahsum’s failure to reach any kind of substantive support for ETIM in either the diaspora Uyghur community or even at large in the greater Islamic world (during his trips abroad) would oblige him to take drastic measures and found a new alliance with the most radical of the militant Islamists, the Afghani Taliban regime. Hence, in light of this newfound radical Islamic support for ETIM’s goal and ideology, the solidification or concretisation of this broader Islamist/jihadist alliance effectively took shape in September 1998 when ETIM moved its headquarters from Xinjiang to Kabul (idem). If anything, it could be said that this move more than anything formed ETIM into a sort of jihadi ‘tentacle’ reaching out from the Taliban-controlled Afghani soil linked with al-Qaeda instead of East Turkestan’s own autonomous body controlled solely by Uyghur Muslims. HRW, Vol. 17, No. 2, p. 16. HRW, Vol. 17, No. 2, p. 17. 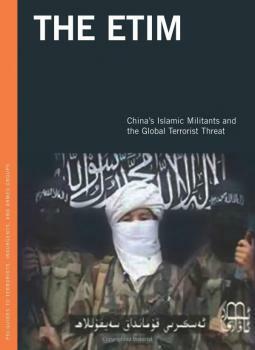 As previously discussed, the fact that radicalised Uyghur Muslims and leading members of ETIM—such as Mahsum (idem) had all made their way into the Taliban-controlled jihadi stronghold of Afghanistan and consequently had entertained direct ties with al-Qaeda and their influence; in short, this posed a very serious problem indeed for China. This means to say that ETIM was no longer a local anti-state independency ‘outfit,’ but rather now with this broader jihad it had allied itself with, ETIM became for China what in the Post 9/11 era was rapidly becoming to be known as some sort of ‘terrorist cell’ or simply put, a jihadi movement. More importantly, in retracing ETIM’s leap from the East Turkestan local radicalised ‘jihadi’ operation to its new identity on the international scene—meaning that broader Islamist/jihadist movement that had given ITEM its rebirth in 1997 under Mahsum’s leadership (idem), is a transition that is captured in none other than the al-Qaeda leader al-Zawahiri’s own words. Essentially, it is through al-Zawahiri’s writings more than any other that an outsider can gain an insider perspective into what Afghanistan meant for ETIM (along with all of the other radicalised Islamic movements). now has sole dominance over the globe, namely, the United States." comradeship-at-arms against the enemies of Islam." [These Chinese Muslim] Uighurs had been receiving firearms training at a camp run by the Eastern Turkistan Islamic Group near Tora Bora, Afghanistan—the same area where al Qaeda training camps are found. They fled to Pakistan after U.S. air strikes destroyed their camp but were captured, turned over to U.S. forces and brought to Guantánamo. Essentially, the Uyghurs were caught in U.S. enemy territory—in the Afghani jihad training grounds alongside al-Qaeda members, and subsequently were turned over to the American military and detained at the prison facilities established at Guantánamo Bay, Cuba. The Uyghurs, thanks to ETIM’s move to Afghanistan in the past—being previous to the 9/11 world stage, in joining the broader Islamist/jihadist movement (idem) was a move that somehow had placed the Uyghur cause for independency in the limelight. The fact that these radical Chinese Muslim Uyghur militants were captured by the U.S.-led invasion of Afghanistan had consequently elevated their cause from among so many other obscure jihadist groups to that of a literal ‘thorny’ point of contention between the world’s two current rival superpowers; somehow the Uyghurs and everything they stood for had come to stand in-between the U.S. and China. 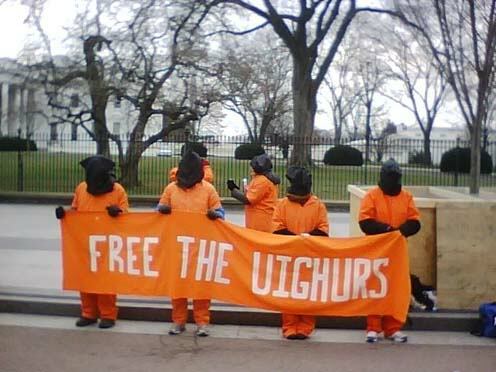 The usual discourse in relation to the U.S. refusal to return the Uyghur detainees to China is based on a human-rights pro-democratic stance—because legally speaking, the Uyghurs detainees cannot be repatriated to China upon their release since domestic U.S. law proscribes deporting individuals to countries where they are likely to be abused (Wolfe 2004). Nevertheless, despite domestic U.S. law and such socially acceptable rhetoric that gains much popular favour in the West, others are quick to point out that ultimately some of Washington’s underlying motives and strategic goals in promoting human rights in China is not for any real humanitarian reason but rather it is really with the intent to weaken the Chinese government’s control on its’ peoples and regions. Furthermore, it is possibly also for this very same reason that the Muslim Uyghur detainees captured (and many killed) alongside al-Qaeda forces in Afghanistan cannot be charged as “enemy combatants” against the United States. This means to say that this reluctance in the U.S. charging the Uyghur detainees along with the other captured and convicted terrorists caught in the course of the Afghanistan war and subsequently brought to trial in Guantánamo reflects Washington’s fear anticipating China’s response to such an outcome. After seeing the Tiananmen Square pro-democracy movements, the Tibetan autonomy or independence movements within China, and witnessing the former Soviet Central Asian states gain their independence to the west, the Uighurs in Xinjiang began to speak out against Beijing’s control. […] Militant groups emerged to challenge China’s rule forcefully, while non-violent groups agitated within China and sought backing from Western governments. [ ] Beijing focused on the violent groups, while Washington highlighted the grievances of the non-violent groups. […] Throughout the 1990s, Beijing’s efforts to increase its control over Xinjiang were answered by a series of attacks by militant Uighur groups. Washington’s position on the attacks was that they were being launched by a small minority within the opposition movement, which had legitimate grievances with the Chinese government. [ ] While the US promoted human-rights issues in Xinjiang, Beijing claimed that the attacks were being waged by groups that had ties to terrorist organizations in Central Asia. In many cases these claims were valid, but Washington’s strategic goals were to promote human rights in China and weaken the government’s control of its western periphery regions, in case a conflict should arise between the two states in the long term; it was not in the United States’ interests to provide a justification for China to rein in the Uighur groups seeing greater autonomy or separation. To this end, Washington dismissed Beijing’s claims that Uighur groups fought on the side of the Taliban during the 1996 revolution in Afghanistan as propaganda—and an excuse to persecute political dissidents. Undoubtedly, as the article reports, in relation to such possibly unfounded accusations made by Beijing in relation to dissident Muslim Uyghurs being linked with the Taliban; in short, this time around Washington could not simply dismiss such claims since it was they themselves—the U.S.-led forces who had caught the Uyghurs ‘red handed’ in enemy territory. Undoubtedly, this bolstered Beijing’s claims that they had been making all along, previous to 9/11, that the Uyghurs had ties to terrorist organizations in Central Asia (idem). After Uyghur militants were captured and killed in Afghanistan while fighting alongside the Taliban and al-Qaeda operatives, this obviously prompted Washington to shift their camp in being forced to bring Xinjiang into the ongoing discussion regarding the ‘war on terror’. To say the least, this put Washington into a very difficult position since as Wolfe (2004) puts it, the new “war on terrorism” made it increasingly more “difficult to reconcile [U.S.] support for Uighur freedoms and the desire to eliminate any group that aligned itself with al-Qaeda.” Thus, Washington was forcibly put into the rather uncomfortable position of cooperating with China on Xinjiang affairs (Wolfe 2004). The media exposure received by the radicalized Muslim Uyghurs through their imprisonment and subsequent acquittal as “enemy combatants” of the U.S. brought much attention to not only the plight of these 17 detainees but of East Turkestan’s history and cause for independence. The likely association with ETIM does not seem even of relevance in the discourse surrounding their looming freedom. In fact, far from being treated as possible terrorists, even Amnesty International has come to the 17 detainees’ rescue. Ignoring the complexities and possible long-term international political repercussions of the prosecution of the Uyghur detainees (as explored in the limited scope of this essay), Amnesty International has greatly petitioned in favour of the 17 Uyghur detainees to be released and allowed to settle into the United States (AI Index: AMR 51/023/2009 Amnesty International 19 February 2009). Once again, perhaps the manner in which the 17 Uyghurs’ release from Guantánamo was framed in the American media coincides all too well with (as previously explored in Wolfe: Nov. 4, 2004), the all too likely underlying motive that the American foreign policy has a vested interest in weakening the Chinese control of its western periphery regions (see article below). Therefore, in considering the American foreign policy interests in keeping East Turkestan’s independence movement alive in contrast to a reinforced Chinese police-state, the U.S. cannot afford to vilify the Uyghurs any more than it already has as a result of the Afghanistan war. There is even a sense of palpable reluctance on the part of the U.S. in having placed ETIM on its official terrorist watchdog list. Wolfe (2004) hints at this reluctance on the part of the Americans, writing, “It was widely viewed that Washington placed the East Turkestan Islamic Movement on the official US list of terrorist organizations on August 26, 2002, as a sign of cooperation with Beijing after the US attacks in September 2001.” Kerry Dumbaugh (Finn 2007: 18), Asian Affairs Foreign Affairs, Defence and Trade Division for U.S. Policy, even goes so far as to write, “But some believe that the U.S. government made a concession to the PRC on August 26, 2002, when it announced that it was placing one small group in China, the East Turkestan Islamic Movement (ETIM), on the U.S. list of terrorist groups.” The fear was that this new global anti-terror campaign would be used to persecute Uyghurs or other minorities in China with political grievances against Beijing (Finn 2007: 18). However, as if to counterbalance all the negative effects the “war on terrorism” has had in undermining the US foreign policy in relation to being supportive of the East Turkestan independence movement, the Bush administration has actually increased funding and support to the nonviolent Uyghur groups (Wolfe 2004). Washington, in attempting to “maintain its previous position of supporting greater religious freedom within China and weakening Beijing’s control over its western provinces” (Wolfe 2004) has to this effect since 9/11 increased funding to the East Turkestan National Congress and the Regional Uyghur Organization and most prominently (as Wolfe points out), “the Uighur American Association received a grant from the US-government-funded National Endowment for Democracy—a first for a Uighur group.” (Wolfe 2004). In conclusion, seemingly, by all accounts it appears that the rationale of US foreign policy warrants an increase in funds into the Uyghur independence cause in an unofficial capacity, thus in all likelihood permitting many anti-state radicalised Uyghur Muslims to continue their training in paramilitary operations such as the Uyghur camp which the US-led invasion into Afghanistan destroyed. It is even not totally impossible that the members of ETIM or the organization itself directly or indirectly somehow benefited from such US funding in the past. This possibility cannot definitely be ruled out, specially since previous to ETIM being placed on the official US list of terrorist organizations on August 26, 2002 (Wolfe 2004; Finn 2007: 18), funding the radical militant organization would have been permissible. So, on the one hand, there is the official discourse in which the U.S. tend to minimalize the Muslim Uyghur element in the “war on terror,” reducing their involvement to ETIM, the one small group in China having been placed on the terror list (Finn 2007: 18). Yet, on the other hand, there are the Uyghur Guantánamo detainees who were found to be no longer considered to be enemy combatants against the United States, but who nevertheless were not welcome to settle there on American soil (Yen 2008). Or, for that matter, nor were Uyghur Guantánamo detainees wanted anywhere else without the U.S. having to pay a handsome sum in exchange, traded for money and Obama handshakes as Pop (2010) put it. In regards to China, since ETIM was placed on the official “terror list” by the U.S. on August 26, 2002 (idem), since that time there has been a small ETIM cell cracked in Hebei province bordering Beijing, and another one also dismantled in Kazakhstan (Stratfor 2008). But, as Stratfor (2008) reports it “The biggest blow to the organization came in October , when Mahsum was one of several killed in a joint Pakistani-U.S. operation against multinational militant targets in Angoor Adda, South Waziristan. Mahsum’s death left an already-fractured ETIM largely leaderless.” Nevertheless, if Stratfor’s (2008) intelligence report is a good indicator of ETIM’s recent activities, the group apparently remains very active to this day despite all the losses they have suffered in their ranks. Fairbank, John King (1976) The United States and China, Fourth Edition (Enlarged), Harvard University Press, USA. Finn, Jerald D. (ed.) (2007) China-U.S. Economic and Geopolitical Relations, Nova Science Publishers, Inc., New York. Gardaz, Michel (2003) The Rise and Fall of Islamic Fundamentalism in Central Asia, Review article of Rashid (2002), Religion 33, 161-169. Human Rights Watch Organization (HRW) (2005) Devastating Blows, Religious Repression of Uighurs in Xinjiang, New York, April, Vol. 17, No. 2(C). Jost, Kenneth (2010) Closing Guantánamo, Can Obama close the detention camp within one year? Article published as Chapter 4 (pp. 69-85) in Issues for debate in sociology: Selections from CQ Researcher [originally published in CQ Researcher issue, February 27, 2009], Pine Forge Press, an Imprint of SAGE Publications, Inc., California. Kepel, Gilles (2004) The War for Muslim Minds: Islam and the West, Harvard University Press. Lombard, Maurice (2004) The Golden Age of Islam, First Markus Wiener Publishers edition [trans. from original French edition, Islam dans sa première grandeur, Edition Flammarion, 1971]. London Al-Sharq Al-Awsat (newspaper title) (2002) Al-Sharq Al-Awsat publishes extracts from Al-Jihad leader al-Zawahiri’s new book, (subtitled) Parts one through eleven of serialized excerpts from Egyptian Al-Jihad Organization leader Ayman al-Zawahiri’s book “Knights Under the Prophet’s Banner” , London. Previté-Orton’s, Charles William (1953) The Shorter Cambridge Medieval History: The later Roman empire to the twelfth century, Cambridge University Press (CUP) Archive. Rashid, Ahmed (2002) The Rise of Militant Islam in Central Asia, Yale University Press, New Haven.